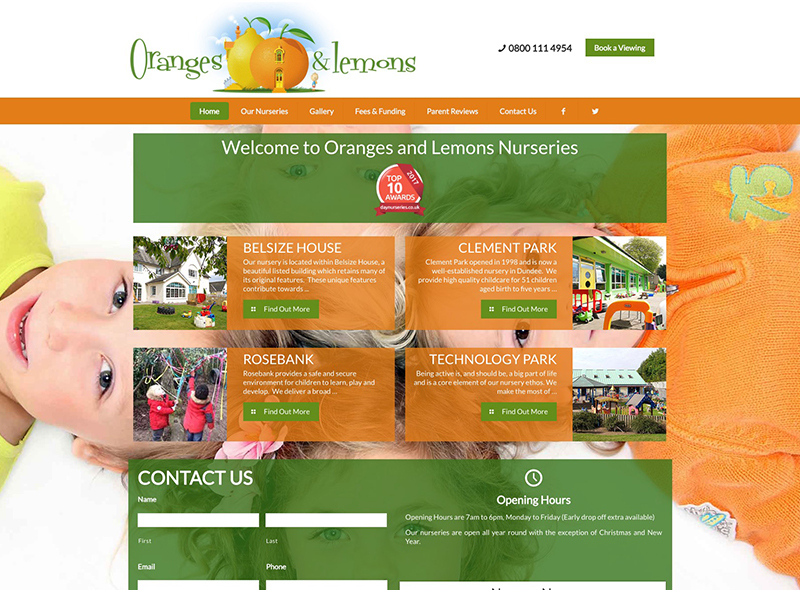 Nursery web design is a speciality here at Three Girls Media. 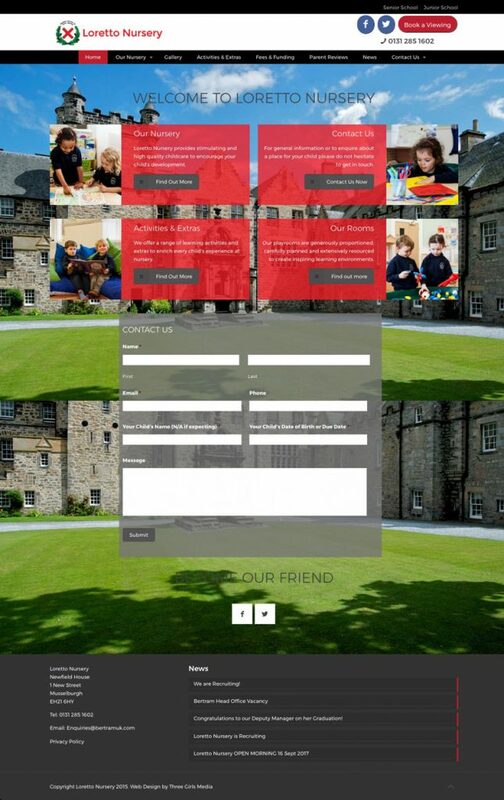 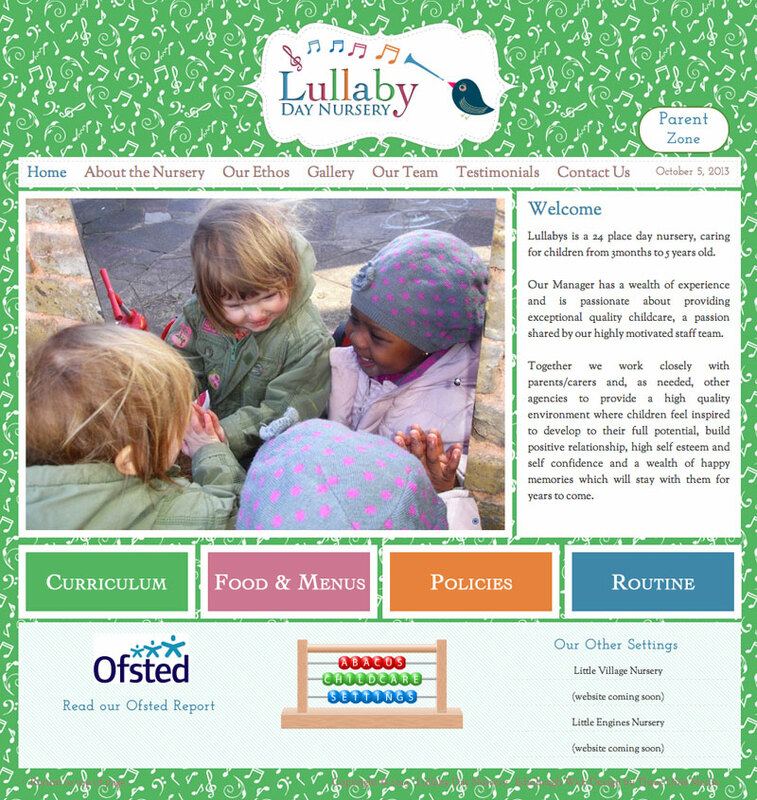 The website for Lullabys Nursery is the first of three that we are developing for the Abacus Childcare Settings Group. 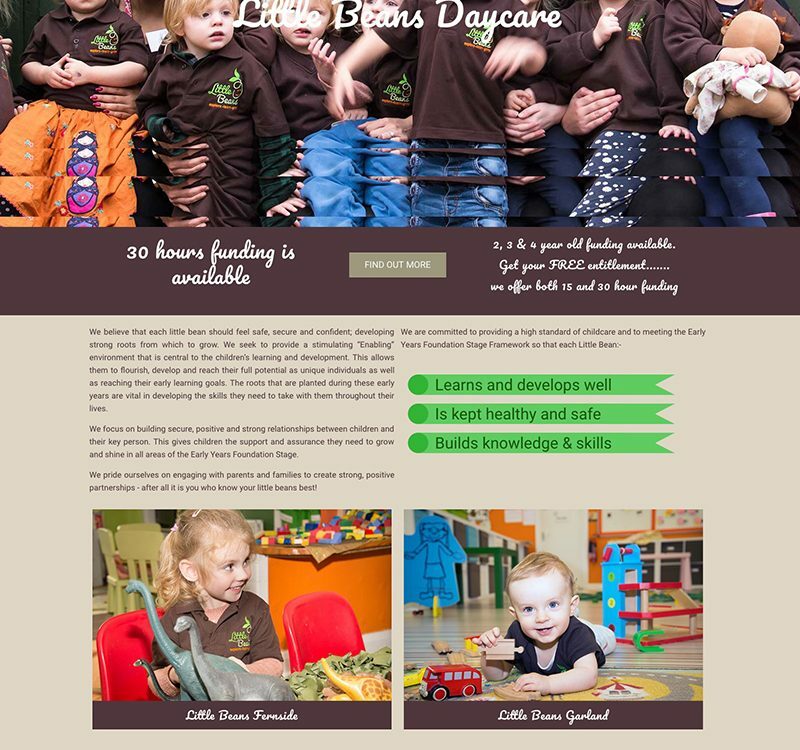 The management had seen many of our other nursery web designs and asked us to develop both new branding and new nursery websites, all with a consistent theme. 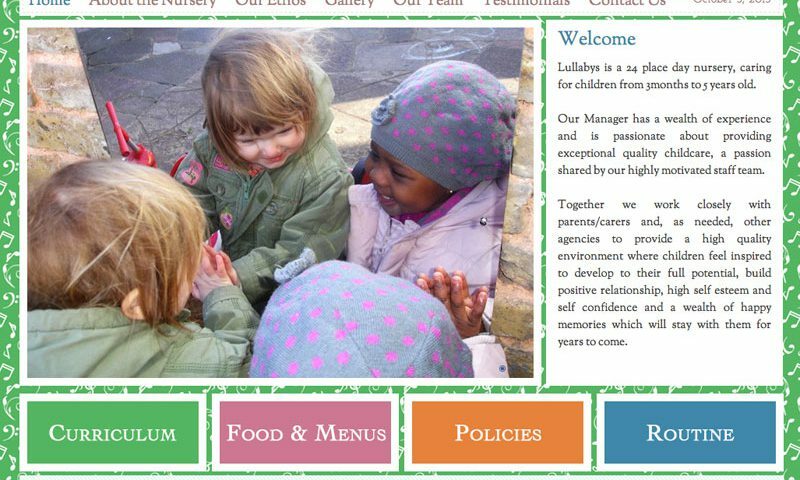 Lullabys particularly wanted to display a very long list of nursery policies on their website and we developed a special menu sytem to make it easy for staff to add new policies that would automatically be added to the site and to navigation in alphabetical order. 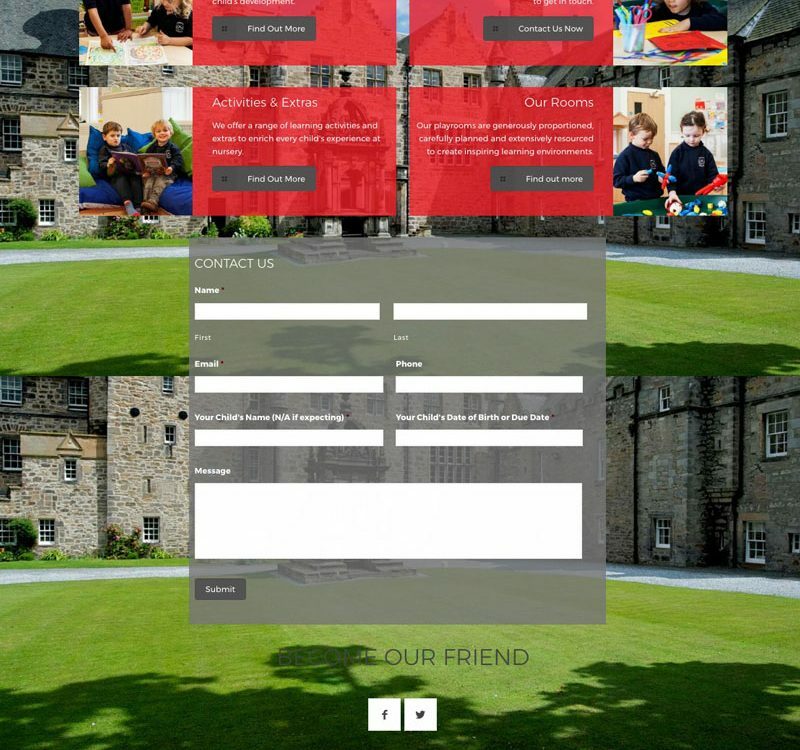 Other features were a private Parent Zone, a staff showcase, and numerous galleries. 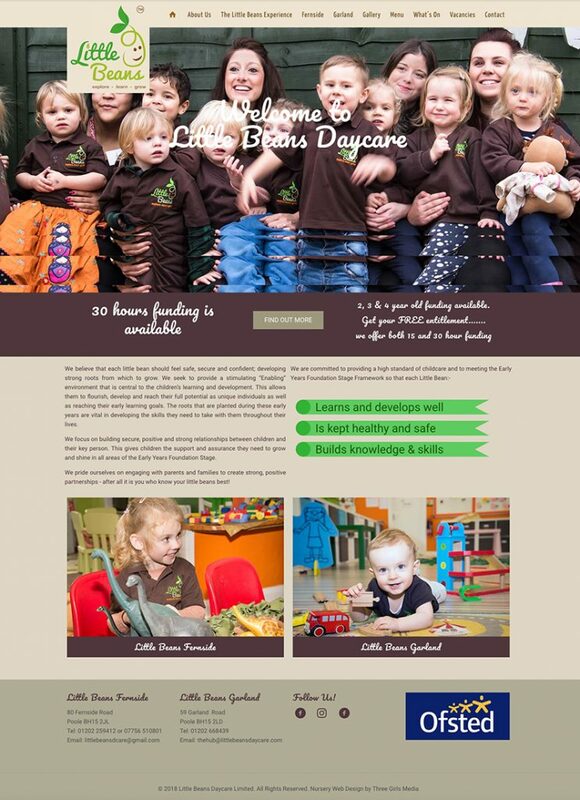 We developed a musical theme for both the branding and the website which has been very well received by both staff and the nursery’s clients.